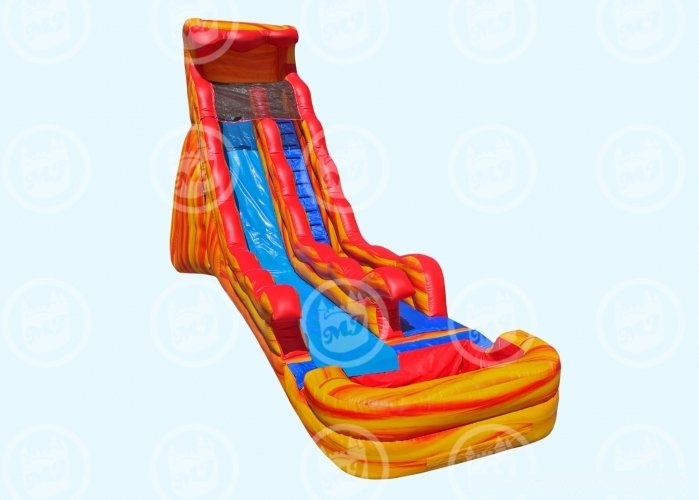 Our 20 Flammin Wave Slide is the one of the newest addition to our slide family. It is made compact and lightweight to make for easy setup and cleanup for rental operations. The slide features a easy-to-use water misting system to ensure that the slide stays wet at all times. 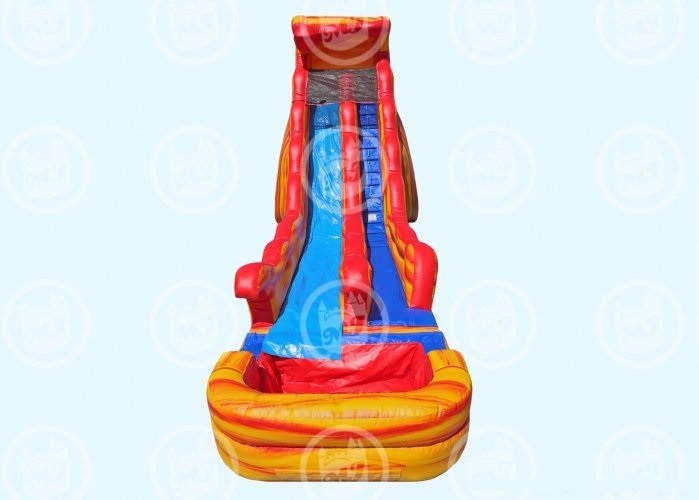 The climbing area, top landing platform, and certain pool areas feature a unique non-slip material for a safer experience when being used as a water slide. 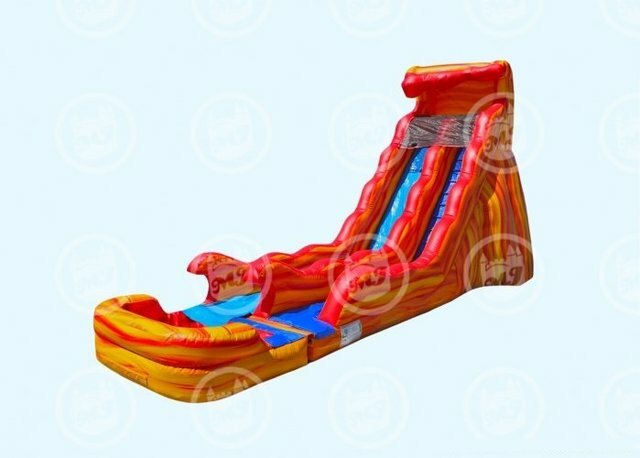 The 20 Flammin Wave Slide has a full pool with a raised wall for safety and to prevent water from splashing out.